Process is everything; cover your tracks. It will make our search an adventure. We scramble through archives and surmount assumptions. We listen to your stories, then ask the ‘enemy’ to tell theirs. We follow dead ends and dark tunnels and our own intuition. You can’t erase your tracks, only obscure them. Eventually we will come to blow your cover. This book is not a careful, comprehensive, stagnant history of Victoria. The type of history in Cover Your Tracks doesn’t have a full stop. We live in a time when, nationally and internationally, cultures are encouraged to homogenise for the convenience of economic imperatives. Against this, the work contained in Cover Your Tracks asserts that Victorian cultures, and their many histories, are vigorous, unruly and diverse. 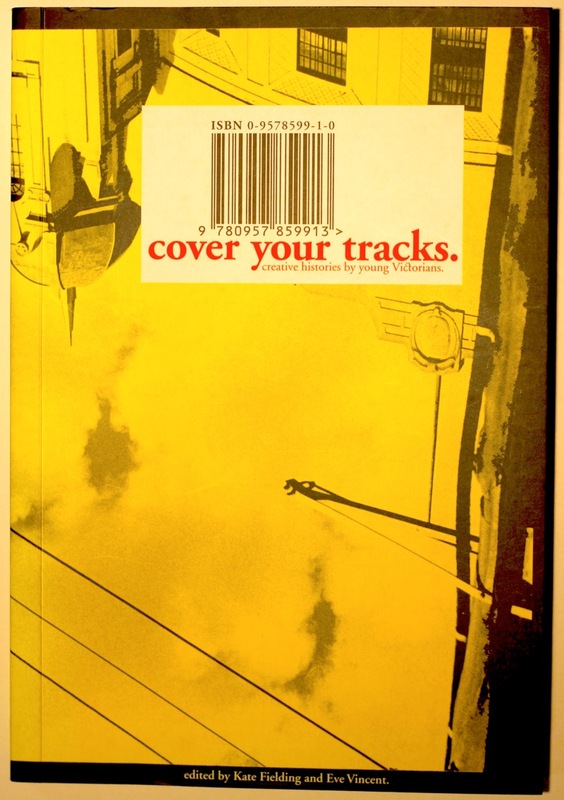 Cover Your Tracks: creative histories by young Victorians was edited by Kate Fielding and Eve Vincent, published 2003 by Express Media with support from the Foundation for Young Australians.